So, yesterday was the day. Yesterday, Disney released a fairy tale inspired movie that people had been awaiting for quite a while. That’s right, I’m talking about Maleficent. That’s right, a movie starring the greatest villain to ever just sort of disappear from her original fairy tale. No, seriously. Here are the French version and the German version. After setting things in motion she just disappears completely from the text. She doesn’t even make an appearance in the infamous Italian version that shocks so many people. However, this version is based on the 1959 animated movie from Disney which was in turn based on the Tchaikovsky ballet. 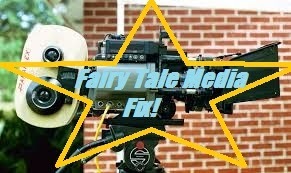 Both of those productions gave the “evil fairy” bigger parts. At least, I think the ballet did. The version of the ballet that I managed to watch was decidedly non-standard and involved vampiric fairies (I am totally not making that up). I may have to seek out a more traditional version someday. Anyway, on to the story of Maleficent. Warning, there may be SPOILERS ahead. It starts out with the story of two kingdoms. One is the kingdom of men and the other is the Moors, which is populated by the fairies. 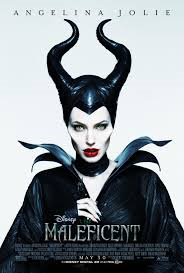 Maleficent is one of the fairies, a girl with horns and great, big bird wings. One day, word comes that a human has been spotted on the Moors. Maleficent goes to meet this intruder and it turns out to be a poor young boy named Stefan. Stefan and Maleficent become fast friends and even a little bit more. However, then the two are separated. Maleficent spends the interceding years defending the Moors and fighting off the forces of the king who wants to take the Moors as his own. Stefan has meanwhile become a knight and one of the king’s inner circle. The king swears on his deathbed that whoever kills Maleficent shall be made his heir. This causes Stefan to reunite with Maleficent in a ploy to kill her. However, instead of killing her he does something else that sets her down a darker path. We’re going to jump ahead here, because some of the more interesting things happen after Maleficent enacts her famous curse. The princess Aurora is whisked off by three fairies that raise her far away in hiding. Seeing that the fairies are probably unsuited to the task, Maleficent starts looking after Aurora from the shadows. She even starts to care for the girl, perhaps realizing that she’s the only innocent in all of this. Meanwhile, King Stefan stews in his own anger and paranoia, growing darker by the day. In the end, this is what the movie is ultimately about. It’s about two people and how their hearts become darkened by ambition, anger, bitterness and revenge. It’s also about how one of them starts to regain some light through exposure to someone who is good and innocent. I know in the past I’ve made fun of Disney (and shall continue to do so, just for fun). However, everyone will admit that when they’re on their game, they make some really good movies. This is a case of Disney being totally on its game. The writing is good. The acting is spot on. The effects are absolutely beautiful. Of particular note are the many fairy creatures of the Moors. Whoever designed those pulled out all the stops. There are some things that maybe should be noted. We see a familiar Disney trope turned on its head. However, I imagine we’ll have to expect that for a while. They’ve been doing that since The Princess and the Frog. Also, anyone who’s particularly fond of Prince Phillip ought to be warned that he has an even smaller part in this version than in the 1959 Disney original (hard to believe, I know). He doesn’t even get to slay a dragon. I suppose those are little things in the grand scheme of things, though. Now, this may not be my favorite retelling of the “Sleeping Beauty” story (as a storyteller, I’m inclined to believe my own version is the best). We also might chafe at some of the iconic parts of the story that we liked being changed. However, it is ultimately a good story well told and definitely worth a watch. If you have any thoughts, feel free to post them in the comments below. Four Color Fairy Tales: Fairy Quest. Folk Tale Secret Stash: Li Chi Slays the Serpent. Cinderella teaser trailer aka "The Shoe". Once Upon a Pixel with Child of Light. You Know You're a Fairy Tale Blogger When . . .